Herb-drug associations sometimes make detonating cocktails. Here's how and why we must be careful when mixed. Should we be afraid to take the sweet clover is when heart attack? A eucalyptus tea alters blood sugar levels? It takes knowledge, plants and drugs associations are far from trivial. And the two approaches are not always easy to combine. According doses, they can have unintended consequences on health, but the amount is not solely responsible. Doctors prefer to remove these risks by discouraging their patients to resort to plants. They also have another good reason not to be comfortable: documented references dealing with these issues are almost non-existent. Fortunately, the experience of naturopaths and herbalists is instructive. That's why we wanted to take stock of the cons-indications, precautions, side effects or known to date. But beyond these tips, it seems important not to lose sight of its priorities for health choices. Thus, one often has plants responsible interference; gold the only drug interactions cause 8000 deaths per year according to the Ministry of Health. The plants are much less harmful because they naturally fall under the precept of Hippocrates: "First do no harm". Garlic (Allium sativum), aloe (Aloe vera), dong quai (Angelica sinensis), ginkgo (Ginkgo biloba), ginseng (Panax ginseng), Siberian ginseng (Eleutherococcus senticosus), kava (Piper methysticum), St. John's wort (Hypericum perforatum), primrose (Oenothera biennis), licorice (Glycyrrhiza glabra). Quite well known plants that can disrupt the action of anticoagulant drugs. Sweetclover or woodruff, for example, can interact with a molecule such as warfarin that is found in many drugs to thin the blood. They increase the effect thereof. Conversely, some plants have an inhibitory effect of warfarin is the case of the root of Angelica of China (dong quai) of borage oil, evening primrose oil , queen-of-meadows, ginkgo, garlic. Some plants may have an inhibitory effect on platelet aggregation. Of course, the plants mentioned above are concerned but we should also mention blueberry, ginger, ginseng, reishi and turmeric. Finally, many plants lower or raise blood pressure significantly. Among those that lower the tension, there is at the forefront garlic and hawthorn but also the olive leaf. Naturally, they will be in opposition with drugs that seek to have a hypertensive effect. Licorice, mate, ginseng, yohimbe or have the opposite effect. For those who are treated for cholesterol, beware of red yeast rice. This product, derived from a fungus raised on rice, is an excellent cholesterol. Its regular intake is significantly lower LDL and triglycerides. But its effects are added to those drugs lowering cholesterol, and those anticoagulants. It is also suspected red yeast rice to boost the effects of other drugs that can cause myopathy: ketoconale (antifungal), cyclosporine (immunosuppressant) and fibrate gemfibrozil (lipid lowering), nefazodone (antidepressant) and protease inhibitors ( used in the context of anti-HIV combination therapy). Antidepressant drugs are part of a highly specialized and complex molecular medicine. When plants will interfere with these drugs that are powerful, it will not be trivial. Conversely, there are also powerful plants that can resist these drugs in the context of the particular depression. This is the case of St. John's wort. This flower is on the management of serotonin in the body, or "pink hormone" prevents some type of antidepressant action, especially those referred to as inhibitors of serotonin reuptake (IRS). So we must choose: either you take a drug IRS which case we do not take St. John's wort, or we chose the wort but regardless of medication of this type. A medically monitored person will discuss it with her ​​doctor, psychiatrist or psychologist. Similarly, it also suspect valerian and passionflower have somewhat similar actions, although less powerful the products involved in mood, including benzodiazepines. Blood sugar and diabetes care! Plants with hypoglycemic virtues are many. Their modes of action are often very complex effects with either regulators or moderators of blood sugar. It should obviously take great care to associate a drug antiglycémique to a plant having an action of this type. It may indeed have both positive combined effects (could cause overdose) and negative (drug action is annoyed). 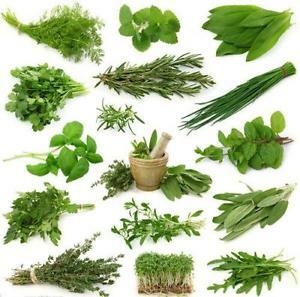 The agrimony, burdock root, bilberry leaf, damiana leaves, Eleutherococcus , eucalyptus, but also the Galega, beans, olive leaf ... all these plants can brew moderate or regulate blood sugar. But if taking hypoglycemic drugs, better to avoid these associations. We should also mention the specific case of aloe (Aloe vera), a product now extremely commonplace and yet may cause clinically significant interactions. Ayurvedic medicine has taught us that aloe had excellent hypoglycemic or antidiabetic properties, properties that have been validated by several clinical studies. It is here that the greatest caution is needed because there is evidence that the effect of aloe gel is added to that of glyburide (Diabeta), an antidiabetic drug, and this effect could also add to that drugs whose action is hypoglycemic. Furthermore, its active ingredient, alloïne, also adds to the effects of laxatives. The hormonal system is a delicate balance and fuel system. Some plants naturally favor the return to the hormone balance such as sage or wormwood (for the female cycle). In any case, it can not submit the hormonal system, which by definition is an information system, opposite stimuli. He can not handle these contradictions. Therefore, either we follow an allopathic hormone treatment and held there, in which case we will avoid all the plants which can present actions on the medication suggested by the doctor, or we used a complementation of natural products for correct an imbalance. We can combine medicines and plants! At the level of thyroid hormone for example, there is no plants which contain the tri-iodothyronine (T3) or thyroxine (T4) but on the other hand one can find plants which stimulate the activity of the thyroid, especially those containing iodine, namely seaweed, such as bladderwrack. On the contrary, the clay has a moderating effect. It takes internally in small doses. But if you opt for this treatment, p ace matter of taking the well known medicine that is called Levothyrox. Female hormones, estrogen and progesterone also raise the same problem. In the family of estrogen, there are plants that can help the system understand its balances include sage, yarrow or mugwort or so of plants that will themselves make molecules like estrogens, phytoestrogens: the e kudzu, hop, clover, soybeans, alfalfa progesterone side, chaste tree, lady's mantle, the Verbena officinalis or melissa bring Similarly progesterone-like. It is important to know when taking hormone replacement therapy. A woman warned is forearmed! The plants can generate phenomena of allergies. This is the case of the Salicaceae because of their content of salicylates (similar to the active ingredient of aspirin): poplar, birch, Queen meadowsweet, willow. Since it is allergic, you have to be careful with these plants. And do not consume the same time as aspirin. Plants can generate phenomena of photosensitivity. Applied to the skin, the essential oils extracted from citrus fruits can cause tanning effect too strong and therefore burns. It is also the disadvantage of wort: it contains hypericin photo-sensitized skin. However, it must absorb a significant amount and make exhibits supported in the sun to get a strong reaction! Plants can result of local irritation phenomena. Many have aggressive juices. So we do not apply a plant on the skin, which is a fragile organ, if one does not know well. Beware of accidents, for example, do not confuse the rocks to home, with giant hogweed, which can cause burns. Plants can cause inflammatory process. Harpagophytum, although it has cons-indications much smaller than the anti-inflammatory drug, is not least against-indicated in hypersensitive subjects. Grapefruit is remarkable when you have too much cholesterol. Several studies have shown. One conducted by the Israeli researcher Shela Gorinstein is very clear: patients who ate red grapefruit a day saw their total cholesterol drop by 15.5% and 7.6% with white grapefruit. So, as a natural remedy is partnering wrong with allopathic chemicals. Indeed, grapefruit juice significantly increases the absorption of cholesterol-lowering drugs in the body. This is the case with simvastatin and, to a lesser extent, atorvastatin. Grapefruit juice taken at the same time as simvastatin can multiply by 15 drug absorption and cause severe myopathy. It is therefore advisable to avoid taking grapefruit juice in the two hours preceding the taking. Or opt for the grapefruit diet, without medication. Against migraines, respiratory problems or against pain, there are now some caffeine-based drugs or containing significantly. If this medicine "goes wrong" because you can not stand caffeine, or if you overdosed, know that there is a very good natural antidote: kudzu. Excessive coffee or a medicine containing caffeine, such Claradol Caffeine, will be perfectly countered by taking capsules of kudzu or kudzu starch spoon of coffee. Relaxation and assured relief! Like what plants are not only synonymous of negative interactions. Even the best sometimes requires a bit of caution: green tea, for example, should be consumed in great moderation in the presence of anticoagulants, warfarin, aspirin, barbiturates, benzodiazepines and stimulants of the nervous system. As for licorice in the form of candy or aniseed drink, hypertensive - on medication or not - must refrain!